Q. David – what drew you to Rob for this project? As a longtime fan of his I’ve felt like all he ever needed was a great director to guide him and show what he’s truly capable of. Where you surprised he had it in him? Obviously you knew he could be good, but were you expecting him to be THAT good? A. really simple – i didn’t know much about him before he came in and did a beautiful audition for me. it wasn’t surprising. it was just really impressive and exhilarating because i could see the movie coming alive. 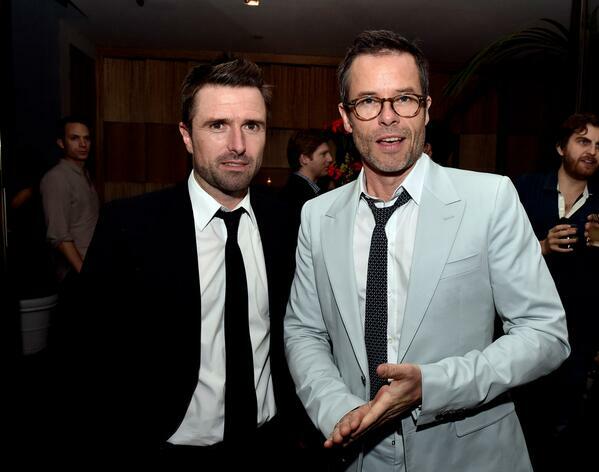 Q. David & Guy, what are your favorite films of the past year (other than The Rover, of course)? Thanks! A. I thought THE ACT OF KILLING by joshua oppenheimer was extraordinary. i loved GRAND BUDAPEST. a film called RUIN by michael cody and amiel courtin-wilson. i thought UNDER THE SKIN had some sublimely beautiful stuff in it. i’m sure there were others. Q. Did you do any vfx work to make The Rover seem more post apocalyptic? A. ironically the scenes we shot when it rained (in places where it hadn’t rained in more than a year) – right in the middle of the scene in which rob and guy buy ammo and fuel, it started raining torrentially – if you’ve ever been to marree (where we shot the scene), you’ll know how surreal that experience was. A. everything is challenging on set. that’s what’s fun about it. the most rewarding moments involved watching guy and rob bring these characters to life. it always felt beautiful and vulnerable and powerful and special. Q. David, has The Rover been an idea for a long time? And have you always considered using Guy since the start? Hearing nothing but amazing things and looking forward to seeing the film! A. the rover has been cooking for a few years and yeah, i wrote it for guy. i always find it useful, where possible, to have an actor’s voice in my head when i’m writing a character. Q. David, will there be a featurette on the making of The Rover or any deleted or extra scenes on the DVD? I find these fascinating and love knowing what considerations went into the filming process. Thanks! A. there might be a behind-the-scenes thing. not sure yet. won’t be any deleted scenes though – (a) because i don’t like putting them on dvds (it’s like showing your dinner guests the mess you made in the kitchen when you have them over for dinner) and (b) because there’s only one tiny one anyway. Q. Mr. Michod what is your writing process like? do you methodically plan? or do you just jump straight in? A. Thanks for doing this and congratulations on another really great Aussie film. You’re both gems of the local industry. When I watched The Rover at the State, there were quite a few laughs throughout the film, and definitely more than I remember from Animal Kingdom. Did you set out to make The Rover to some extent funnier than Animal Kingdom or was it unintentional? Pictures of you on set of both Animal Kingdom and The Rover show you sporting what look like mullets. Why? Speaking as a Blue Tongue fan, is the sequel to Spider and Bear ever going to happen, and are you going to team up with Nash again to write it? i knew it would be more heightened than AK and heightened can frequently lead to chuckling. when i start getting pulled into the giant vortex of the movie, i stop caring about things like haircuts. we’ve been talking about it. just need to find the time. A. i have to plan. i can’t start writing without knowing where i’m heading. Q. Why is it called The Rover? A. all sorts of reasons! Q. David – you said in an interview that you did a few takes of Rob singing a southern, gospel tune he made up in place of Pretty Girl Rock. Would that be something that could show up as DVD special features? Q. Great film! I was curious as to whether either of you thought the relationship between Eric and Rey had any lasting effects on Eric. Or did he just go forward as a solitary man as he was before? A. i’d like to think rey had a lasting effect on eric. definitely. what happens to eric after the movie has finished? good question. Q. David: You’ve mentioned in an interview about studying philosophy at Uni. As someone who is studying phil right now I’m curious to know if Philosophy is something that you utilise in your filmmaking/writing or if it even comes into the equation? A. i’d like to believe it’s made me a more rigorous thinker than i might have been otherwise, and i hope it has somehow made the movies more interesting than they might have been otherwise, but i don’t consciously try to squeeze that stuff into them. Q. Huge fan of your works. How was the experience of working on Moora Walley becketts new Starz original show? And how did you guys meet each other before Animal Kingdom? 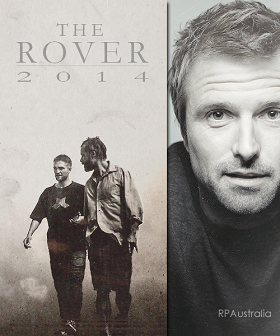 Hyped for The Rover! A. shooting flesh & bone was fun. got to work with my good friend cinematographer adam arkapaw again. shooting classical ballet with great dancers was pretty extraordinary. moira approached me after seeing AK. i loved that she thought i’d be the go-to guy for a show set in the ballet world! Q. Hi Mr’s Michod and Pearce HUUUGE FAN OBVIOUSLY MR. MICHOD? Do you have any directorial advice? Q. Hi Mr. Michod? Do you have any Screenwriting advice? Q. Mr. Michod? are you a self conscious filmmaker? A. not sure what you mean. do i feel self-doubt? absolutely. and i think it’s healthy. it makes me work hard. it’s just important that i keep it in check. otherwise it drifts into paralysis. Q. what has been your biggest on set problem and how did you fix it? A. every day is a problem. that’s what film sets are – big problems that need constant fixing. they all blend into one for me. but in solving problems, beautiful new things always emerge. Q. how do you direct an editor? A. collaborate with them. treat them with respect. don’t micromanage too soon. Q. What’s your favorite sandwich?